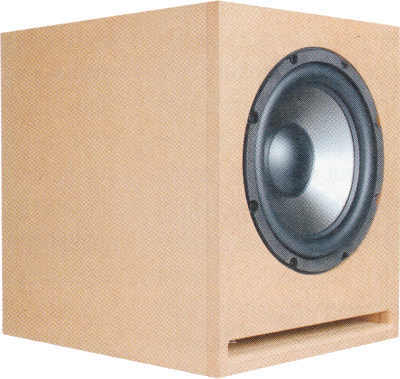 M-SUB 80.10 (M-SUB stands for Mivoc-Sub) is a small subwoofer developed by Bernd Timmermanns. As amplifier a subwoofer module Mivoc AM80 Mk II is used. The construction is quite simple: only 9 small rectangular cut boards are needed.